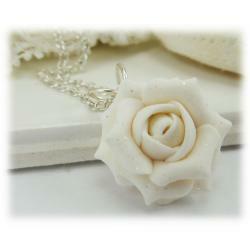 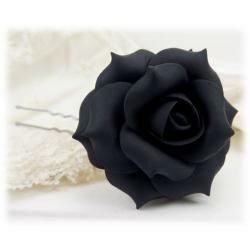 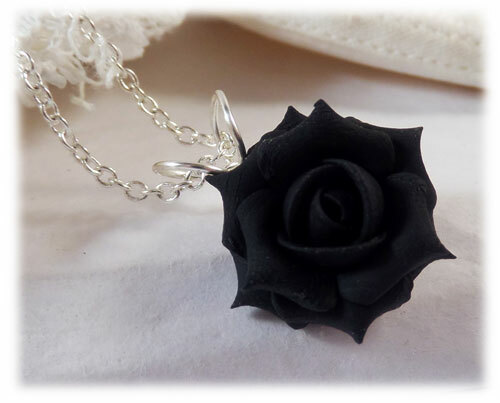 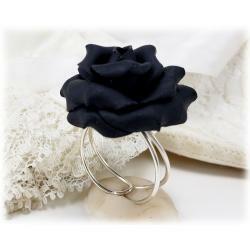 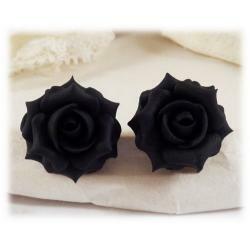 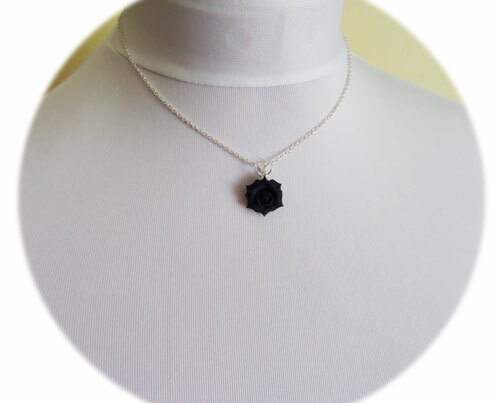 This handcrafted 1.5cm black rose necklace is available with or without a crystal or pearl center. 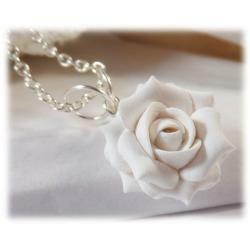 The rose drops from a hand wired bail and cable chain. 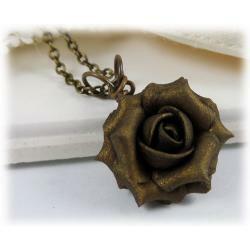 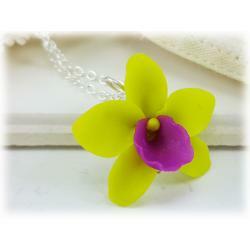 The components are available in silver-plated, gold-plated, antique brass, 925 sterling silver and 14k gold filled. 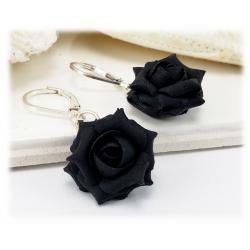 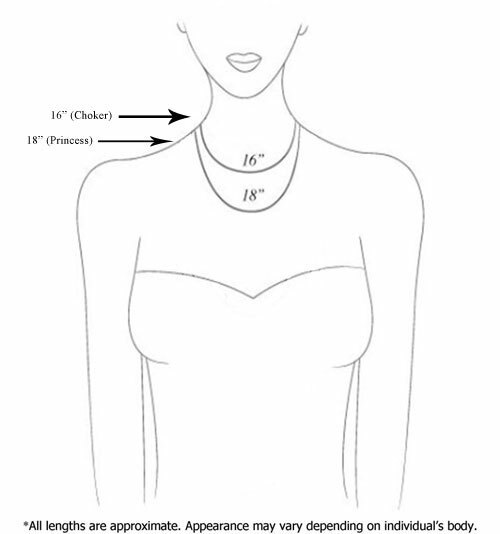 Matching earrings and other accessories available.